Partly cloudy this evening, then becoming cloudy after midnight. Slight chance of a rain shower. Low 46F. Winds SW at 5 to 10 mph. 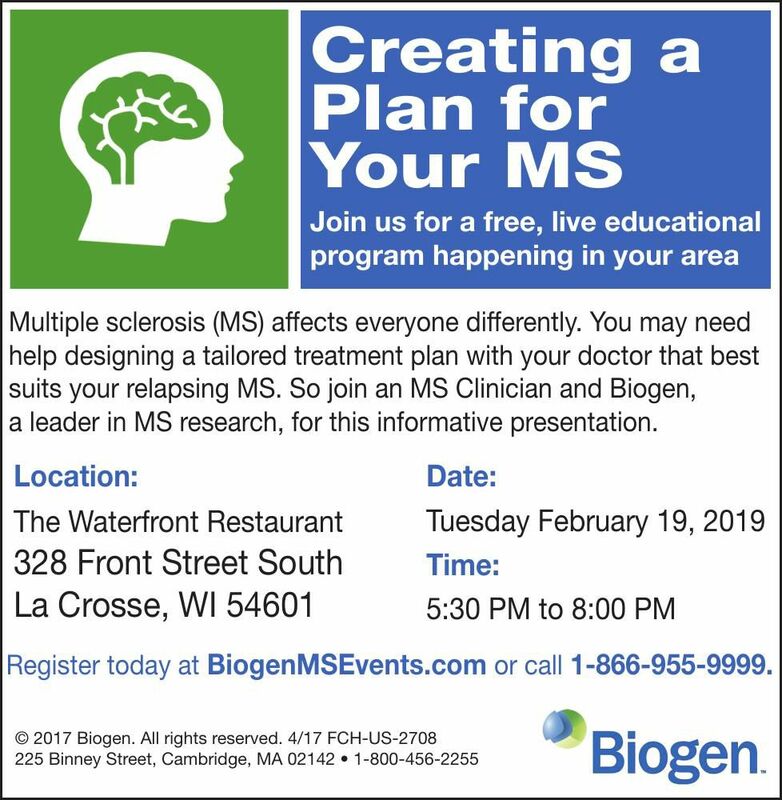 a leader in MS research, for this informative presentation. Register today at BiogenMSEvents.com or call 1-866-955-9999.